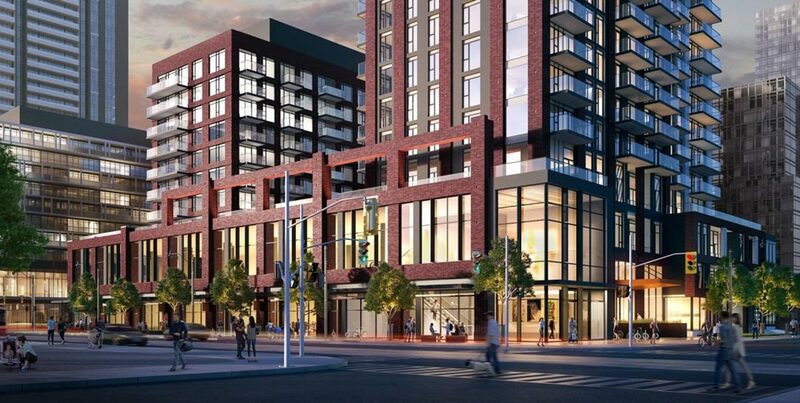 Daniels Artworks Tower Condos located at Dundas Street East south-east corner and River Street and presently in pre-construction, is by the award-winning Daniels Corporation. Daniels Artworks Tower Condos is proposed to be a 33-storey building housing 437 units. It will feature contemporary suite layouts varying between one and three bedrooms. Everything about Daniels Artwork Condos including amenities will certainly be exciting and will exceed your expectations. Some of the amenities include a stunning, gallery-like lobby, ingenious facilities, as well as fabulous finishes. Daniels Artworks Tower Condos is very well-connected and this will allow residents to get around conveniently. With several LRT stations positioned along Gerrard St East, Dundas St East as well as Queen St East, connecting to the nearby subways plus other areas is a breeze. The College subway station is located closest to the development site and it links with the Union Station and places in the north. Don Valley Parkway and Gardiner Expressway – both of which are major highways – are only within a few minutes’ drive, allowing motorists to travel around quickly and conveniently in any direction. Getting about is also made easy by the numerous major arterial streets when highways are congested. Residents in this area will always enjoy fast and comfortable travel– thanks to the LR, subways as well as numerous arterial streets. Daniels Artworks Tower Condos is located in Toronto’s most coveted east end neighbourhoods, in proximity to all amenities including numerous eateries, stores, markets, entertainment spots, schools as well as universities. Don Valley Parkway and Gardiner Expressway are close by. The development site is well connected by LRT, making it convenient for residents to travel around downtown and other places. The project site is close to Regent Park Aquatic Centre, which is a great place for fun sports activities for both kids and adults. The location is family-friendly, with both nature and amenities easily accessible by residents. Daniels Artworks Condos offer an incredible investment opportunity that should not be missed. Based in Toronto, Daniels Corporation is a reputed company that has been in the construction industry for over 50 decades. It boasts of 28,000-plus houses, communities, apartments, as well as other commercial spaces. The firm has an impressive portfolio that includes some of the country’s most famous landmarks including Toronto Eaton Centre, Erin Mills and Toronto-Dominion Centre among many others.